To guarantee that your Arcata rental homes are leased at a competitive rate, make sure to administer regular market comparisons. On top of the required property management tasks such as seasonal maintenance and repair, assessing market rental rates should be on your spring to-do list. It doesn’t matter whether the tenants you have are long-term or if you’re preparing for new ones, a market comparison can see to it that your investment homes stay profitable and keep its rental rates in line with those in your location. 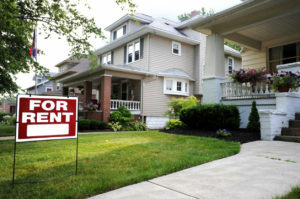 Setting things up for a market comparison begins with obtaining information on your own rental homes. Some of the things you’ll need to know include the square footage of each rental home, and the age and condition of each major element. From the roof to the appliances and everything in between, you need to have a clear picture of your rental property before you can be sure you’re doing a direct comparison to other rentals in your area. After you’ve gathered all the information about your own Arcata rental property, begin looking at similar rental homes in that same area. In the same way that the asking and the final purchase price of a house can differ, so can estimated and proposed numbers vary from the actual rental rates. A good market comparison can show you how much homes like yours are presently renting for, and it will help you decide whether you need to increase or decrease your rent. If comparable properties are renting at rates higher than you have asked for in the past, increasing your rent can lead to increased income without losing your competitive edge. On the flip side, if the properties around your location are renting less than yours, decreasing your rent to match can easily attract new tenants and lessen the amount of time the home is vacant. While a market rent assessment may take a lot of work, it is vital in keeping your investment properties profitable. The great news is that the professional property managers at Real Property Management Humboldt can help out. We understand how the rental market in Arcata works, along with the rental markets of the surrounding areas. This assures you that your rental homes will always be competitively priced no matter where it is located. Ask us about our FREE market rent assessment; don’t hesitate to contact us online or call us at 707-444-3835.